Additional academic research input is provided by CAMEo, the Research Institute for Cultural and Media Economies, University of Leicester; and The Institute for Employment Research, University of Warwick. 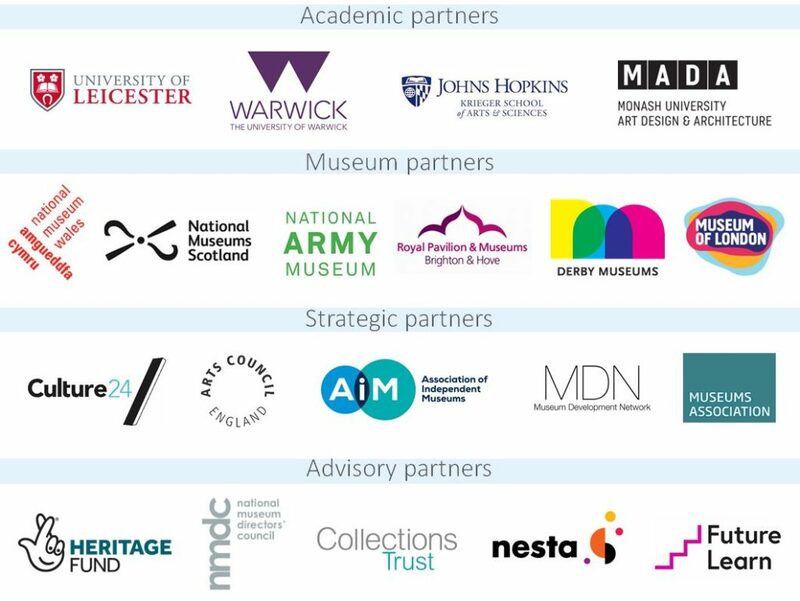 In addition the project has gathered an important group of strategic stakeholders to represent the needs of all museums, provide vital advisory support and to share and implement the project’s key findings. These are Arts Council England, Museums Association, Association of Independent Museums, Museum Development Network, Heritage Lottery Fund, National Museum Directors’ Council, Collections Trust and Nesta. The project is also advised by two noteworthy international scholars in the field of digital heritage, namely Phyllis Hecht (Director of the MA Museums Studies program, John Hopkins University, US) and Vince Dzeikan (Director of Graduate Research in Design, Monash University, Australia). One by One is also thrilled to be partnering with FutureLearn who will host the key output of the project, namely an open online professional development resource focusing on building the digital literacy of museum professionals.